Crews from nine departments trained together. On a cold Thursday morning, firefighters from nine metro fire departments gathered on a residential street in Richfield. They were there for “live burn” training. The city of Richfield had obtained a block of homes for redevelopment and made the homes available for live burn training. Richfield Assistant Fire Chief Mike Dobesh was in charge. All of the homes were inspected and had hazardous materials removed prior to the start of training. The training was conducted over three evenings and one morning session. It was a sea of cooperation. Chief Dale Speken from Hopkins gave the briefing, and that morning Minnetonka’s assistant chief, Kevin Fox, took the safety officer position and maintained the status board of who was where. Inside the house, “burn teams” made up instructors from Bloomington, Excelsior, Hopkins, and Minneapolis ignited the fires and positioned themselves to assist firefighters in need of coaching and to act as safety officers. Bloomington supplied the pumper, pump operator, and hoses. Three Rapid Intervention Team (RIT) response kits were laid out in case a crew or “company” got into trouble. None did. Fire crews "mask up" before entering the house. The fires were normal combustibles—or class A fires—and the ceiling temperatures were around 1,200 degrees Fahrenheit. Many of the current residential “real” fires burn closer to 2,400 degrees due to the high amount of petroleum-based products that are in the contents of modern houses. The temperatures were reduced for safety and to allow more fires in each house, but the techniques were the same. In addition to the departments already mentioned, fire crews from Saint Louis Park and Metropolitan Airports Commission (MAC) airport participated as well that morning. Chief Dobesh reports that more than 275 firefighters from 11 departments trained at the site during that week. Referring to the multiple departments on site, Dobesh said: “This is what we need to do more of.” He said more departments need to train together and know each other because they need each other’s assistance more than they have in the past. And one final point: there were no injuries. 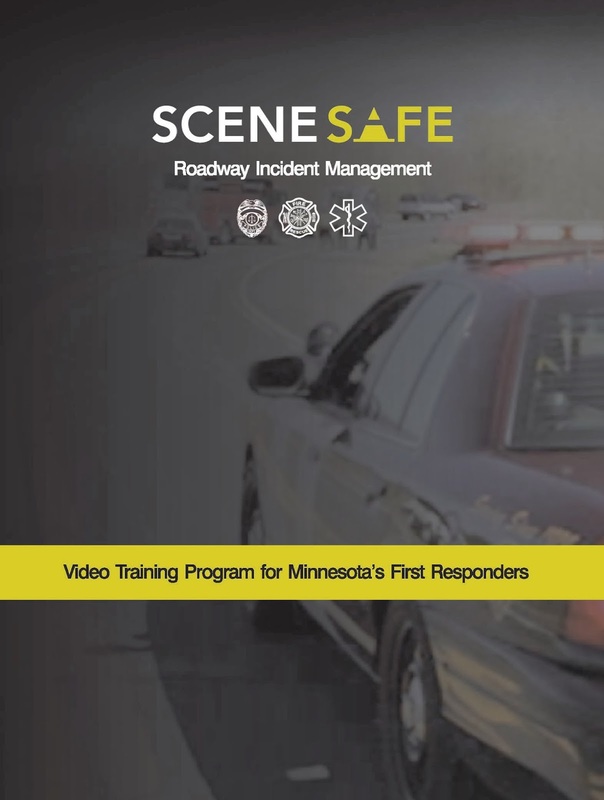 The “SceneSafe” training video is done, available, and it’s excellent. This 30-minute video blends real crash videos with the testimonials of crash survivors and high-quality animation to demonstrate how to make highway response scenes safer. In addition to instruction and considerations for properly responding to roadway incidents, it has critical tips and advice for setting up emergency traffic control scenes. Congratulations to Inver Grove Heights Fire Chief Judy Thill, who headed up the project, and to the State Fire Marshal’s Office for funding and supporting this venture. -Findings show that there are certain groups and types of officers who are more likely to experience injuries, including those in the first five years on the job and those who are overweight. -Data reveals that those offenders who had prior contact with police caused more severe injuries to officers than those without prior contact. -Officer training efforts in the areas of arrest procedure and use of force resulted in fewer injuries during officer encounters with suspects, and thus should be incorporated into academy and in-service training.